Update amount of goal as seen below we are doing our best to fight use the recommendations given to us. Funds will be used by Lone Jack Neighbors group for attorney fees, signs, banners, billboards, fliers, t-shirts, hats, administrative expenses such as paper/copies, etc... Currently using funds daily to fight this expansion from Valley Oaks Steaks Company. We have been advised to obtain the top hydro-geohydrologist in the state and he is known internationally, Tom Aley with Ozark Underground Laboratory. Expenses there could be up to $10,000 for time, research, reports and testimony. We now have an expert on vet drug residues that will have an expense of $2,000 to $3,000. We can't give in to this profit driven entity. Stay united. Keep up the fight and work together as a community. A united front will win over a money hunger single corporation. It may take years and sweat and tears the same as it took us to obtain what we currently are fighting for. Say No to Valley Oaks! Contrary to what many say, this operation is not located “in the country”. At least 154 homes are located within 1.5 miles of the CAFO site --more than 10X that of the average for all other CAFOs in the KC region (14.67), and it is nearly 12 times that of the average for the other two cattle CAFOs in Missouri (11.84). 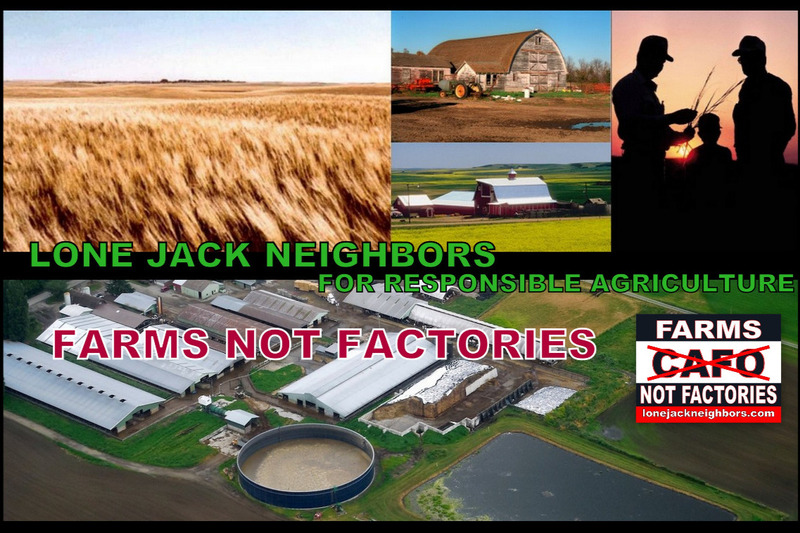 In addition, more than 880 homes are located within three miles of the CAFO. If you average 880 homes, with just three people per home, that is 2,640 people in a THREE-mile area – more population than the town of Holden, MO! Situated on nearly 1,000 acres of land, attaching to 3-mile radius around Valley Oaks's CAFO, Powell Gardens, a botanical garden, is one of the Kansas City area's most beautiful and serene spots. This asset to our community; however, is now in danger. Any help you can provide will be of great assistance in helping this wonderful community of neighbors stay strong and continue to fight for our health, our children's health, air quality, water quality, soil quality and property values. Karen Sloan continues to be very gracious and she is offering again this month to bake cookies or muffins for someone to win by donating to our fund. The choices will be..... banana, zucchini, or blueberry muffins. Chocolate chip cookies, M & M cookies, Peanut Butter cookies, Mom's Oatmeal Crunchies cookies, Chocolate Crackle or Lemon Crackle Cookies, Blonde Brownies, Extra-thick Brownies with Peanut Butter Frosting, Snickerdoodles. Valley Oaks has now sent new neighbor notices out for a 3rd attempt at a permit. So many ups and downs and unknowns but we have to try to stay on top of it and not give up which includes attorney fees and signage costs, etc. Any contributions are helpful in our continued battle. We will hold a meeting at Powell Gardens at 1:30pm on April 14th. What an amazing accomplishment! The Clean Water Commission revoked Valley Oaks permit. The FACTS showed what the outcome should be. However, the rules and legislation allow them to re-apply as they have already done as of December 5th. Please continue to support Lone Jack Neighbors as we continue to battle and stand up for our community and neighbors. We are currently working on a health regulation the with the Johnson County Health Department. Many in our group are working to educate and promote this option in order to get it on the April 2019 ballot and these funds could assist in possibly getting that done. 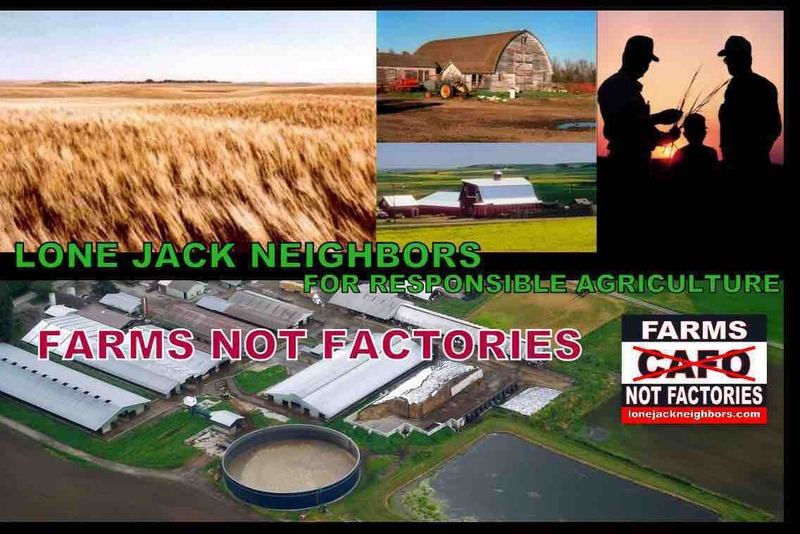 Karen Lux, one of the official members for Lone Jack Neighbors for Responsible Agriculture started this gofundme campaign and does receive the donations which are then immediately signed over to the Lone Jack Neighbors for Responsible Agriculture's account. We have almost reached our goal! Thank you for all the assistance you have provided, as a group, it has been amazing.